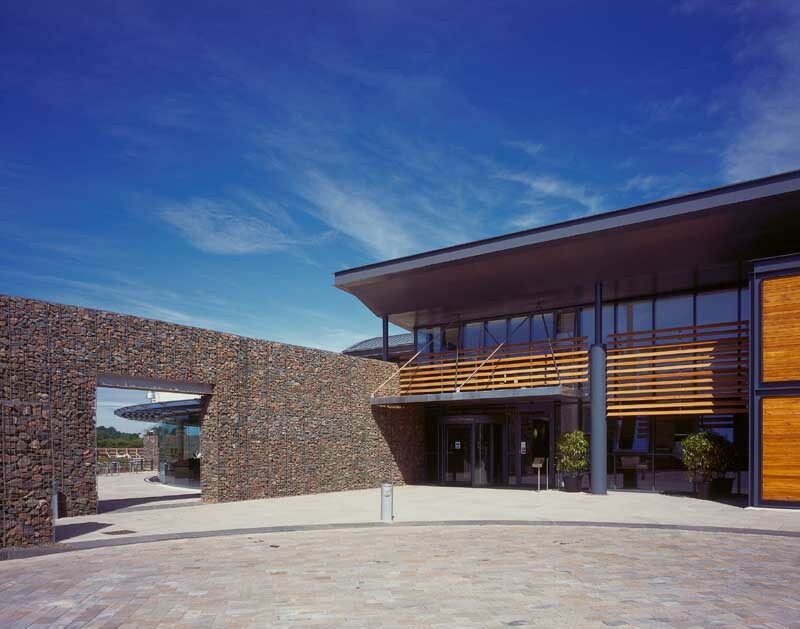 The new headquarters building for the Scottish Agricultural Science Agency (SASA), designed by Parr Architects Ltd, has now officially opened its doors and set a benchmark for sustainable ‘greenfield’ design. 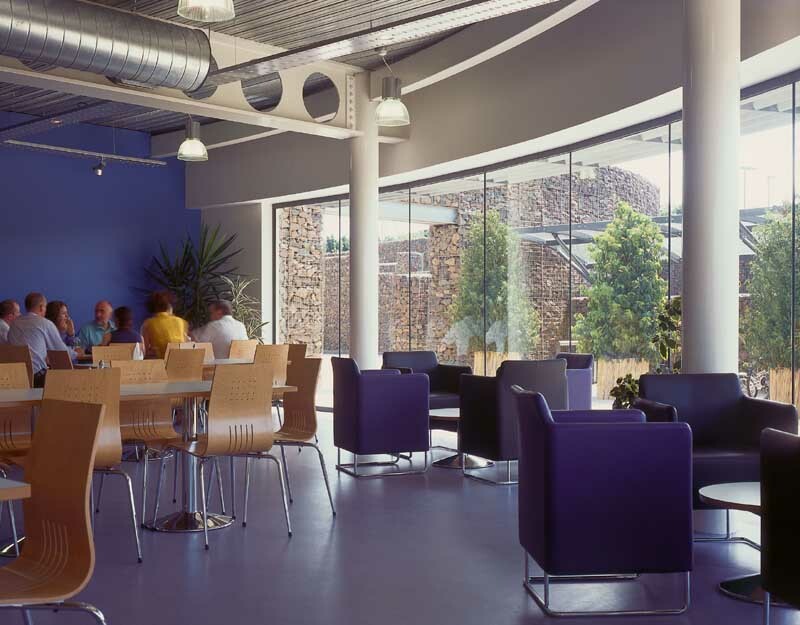 SASA is an agency of the Scottish Executive, who required the new building, which is located in open countryside four miles west of Edinburgh, to have as high a BREEAM rating as possible. It achieved a ‘Very Good’ rating – exceptional for a building on a greenfield site. Project architect Alastair Keyte says sustainability was a core design concept. “We looked at various methods that would improve performance – photovoltaics, ground heat sources, use of grey water. 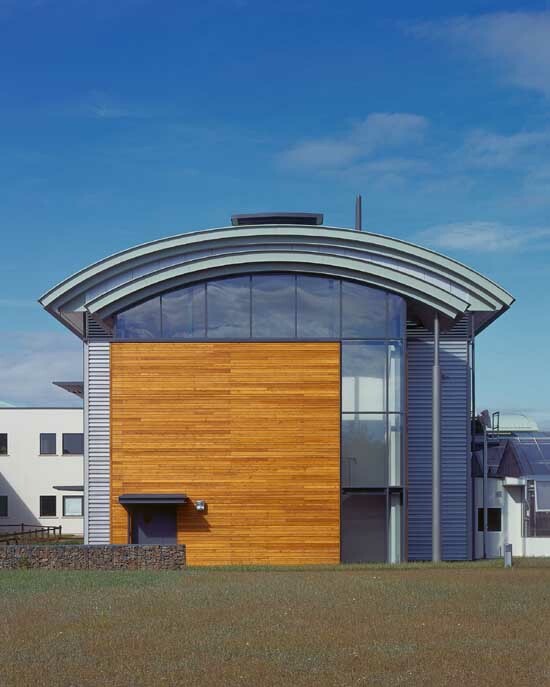 Some issues influenced the design – for example, because we wanted to go for natural ventilation wherever possible, the maximum width of a lab using a natural system was set at 7.5 metres, which dictated the width of the building’s wings”. The site slopes dramatically with the building nestling at the bottom of the slope, fitting neatly into the site contours and reducing visual impact. All the cut and fill material was retained on site to create mounding for acoustic attenuation. 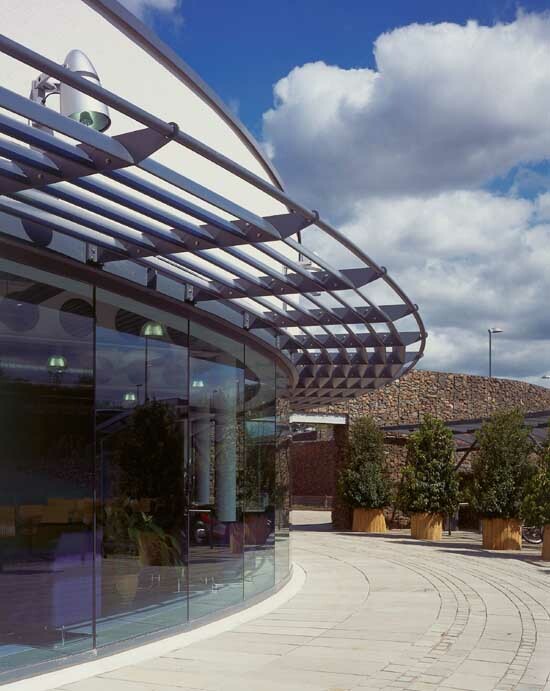 Working with landscape architects the Paul Hogarth Company, a range of landscaping features was created to strengthen the original topography of the site, such as landform, tree planting and gabion walls. wings sprouting from it to house each of SASA’s operating divisions. This allows each division to maintain its distinct identity while fostering a close working relationship within the organisation as a whole. 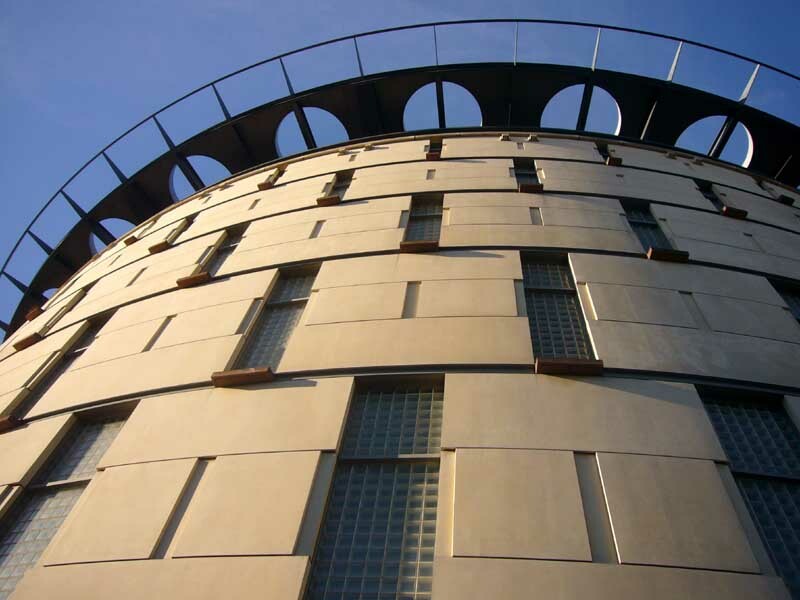 The form and materials of the building – metal cladding, timber and render, with curved narrow profiles presented to the road – take their cue from agricultural architecture. 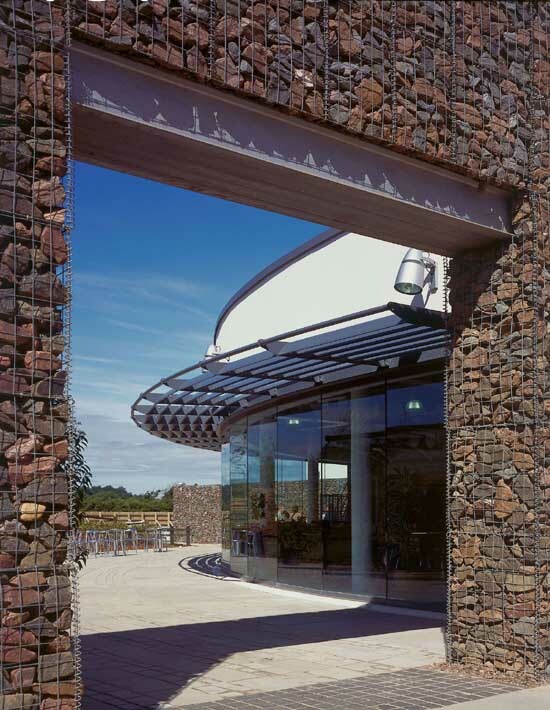 Curtain walling and stone filled gabions soften the agricultural aesthetic and give presence to the public face of the agency. Planning is being taken forward for the relocation of SASA’s headquarters from East Craigs to purpose-built accomodation to be constructed at Gogarbank Farm, 4 miles west of Edinburgh. Detailed planning consent was obtained on 11 Feb 2004. The building contract was awarded Jul 2004, with the successful firm being Sir Robert McAlpine Ltd. Work on site commenced at the end of Jul 2004, with completion of the new premises scheduled for the end of 2005-06. The East Craigs site will then be surplus to SASA’s requirements and is to be vacated and sold for residential development. Marketing of the site will take place during the second half of 2004.